You know what they say: Monday is the new — okay, no — Monday will never be the new anything. Monday is the worst day of the week, final. But this Monday will be a rare occasion of celebration, as you watch the Primetime Emmys at 8 p.m. EST/5 p.m. PST. The Emmys will air on NBC, and all of your favorite stars will be there, ready with their most surprised "winning" face, and their slightly less prepared totally casual losing face. But lucky for you, no one cares how your face looks Monday night. All you have to worry about are what the rules to your drinking game will be, what you're drinking, and do you have enough? And hey — a slight headache at work on a Tuesday is way better than a slight headache at work on a Monday. Thanks, Emmys! Of course you also have to worry a little bit about not looking like a total chump when predicting your Emmy winners and losers; and this year is a particularly tough race. When the lineup for Best Actress in a Drama Series is Michelle Dockery, Claire Danes, Robin Wright, Lizzy Caplan, Kerry Washington, and Julianna Marguiles, you kind of just have to close your eyes and vote for the show you like the best (or assume that's how the Academy for Television Arts and Sciences voters did it, anyway). This year's race is likely to be defined by the shows that are ending, the shows that started off with a bang, and the shows that just flat out had stellar seasons. Here's a few tips on who you should be watching to win and lose at the 66th Primetime Emmys. 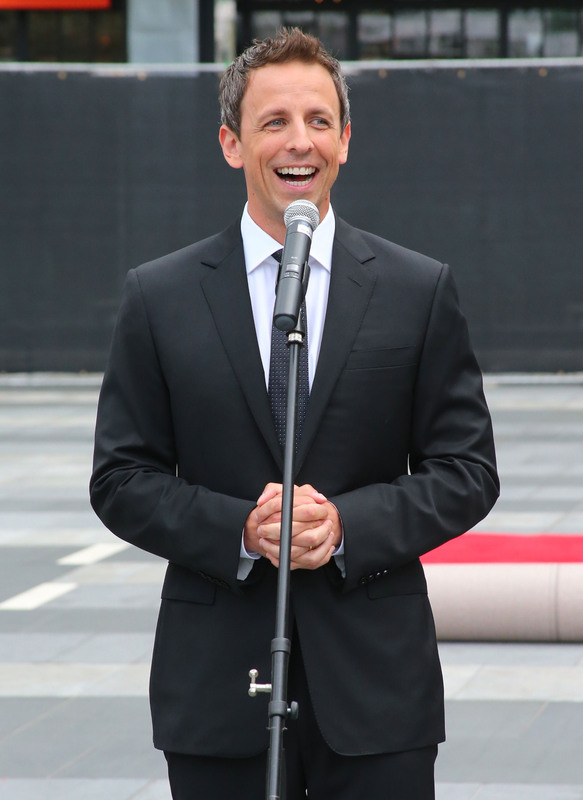 No matter what Seth Meyers does on Monday night, he's probably going to get some flack. Unless your last name is Fey, and you have a sprite-like best friend named Poehler, hosting awards shows is a pretty thankless job. Mostly, you just have to hope not to bomb. Like Fallon and Kimmel before him, Seth isn't a stranger to improvising his way through awkward moments, rubbing elbows with celebrities, and then immediately throwing them under the bus. He may not be the joke-for-joke funniest guy in the room, but he's usually one of the nicest, and that will likely make for a nice evening. Be prepared to be casually approving, but not overly impressed with the host of the night. The Drama categories are home to the most sure things this year, which also means it's a tight race between a few select shows, mainly breakout hit True Detective, and out for it's last hoorah, Breaking Bad. If one takes the Best Drama Series, expect the other to rack up in Acting categories, and a similar formula for Writing and Directing. Of course, this all could just be wishful thinking for the best shows all getting a little love. Everybody knows it's time for Modern Family to make way for some other comedies after four years of holding the Best Comedy Series crown. This season (and last season), it's been outdone by newer, more creative shows. It still evokes the chuckles, and the actors are great; it's just not as great as many of its fellow Best Comedy Series nominees. On the other side of the Emmys, Downton Abbey has always been a highly nominated show, first in the Miniseries category, and then after it switched to Drama; but with a weaker fourth season, even its still strong performers aren't likely to take the wins from more consistent series. Which makes room for some other shows to get a little 2014 recognition! Game of Thrones, though one of the most popular shows on television, doesn't always get the most Emmy votes, and while it's not likely to see a Best Drama Series win, a Best Supporting Actress for Lena Headey or Best Directing for Neil Marshall would be well deserved. And with Modern Family's reign probably coming to an end, Comedy categories like Series, Supporting Actor/Actress, Writing, and Directing have some room for smaller shows like Veep, Louie, and Silicon Valley, and to see a trophy. Tune in to NBC on Monday, August 25 to see if your own predictions are correct!